I'm in Arkansas too so I know what your talking about. Stay safe! Glad you are safe. Hoping you can get back to "normal" soon. Wow! That is some storm. yikes, I'm in AR too, but most of the big clouds missed us. hang in there! I'm glad you're okay! I was following all that craziness on the news. SCARY. 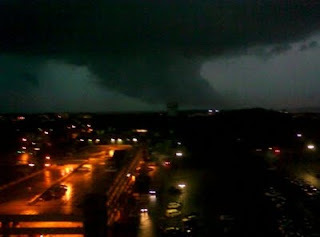 Growing up in Minnesota I'm familar with tornado's, week long power outages and so much damage it's daunting.... I'm so glad to hear you are safe.